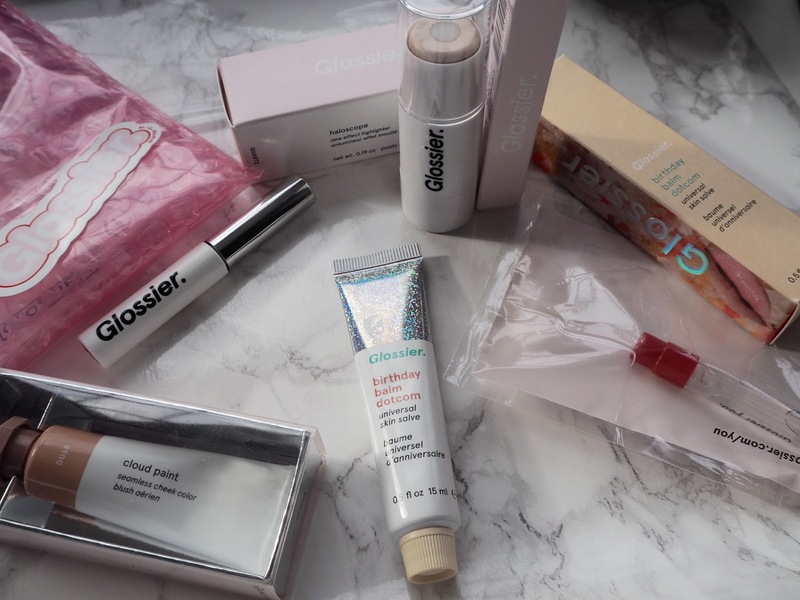 Glossier Haul: Worth The Hype? Glossier: a brand I’m sure you are familiar with. If you haven’t seen the hype all over the internet, you must have seen the glossy showroom and the simplistic yet functional packaging on your instagram feed. I have been sucked in, every time I scroll through instagram I see endless hauls and photographs of glossier.. Hello October, I’m blaming you for this haul.. but also thanking you because I don’t know how I’ve lived the last 24 years without Haloscope in my life. 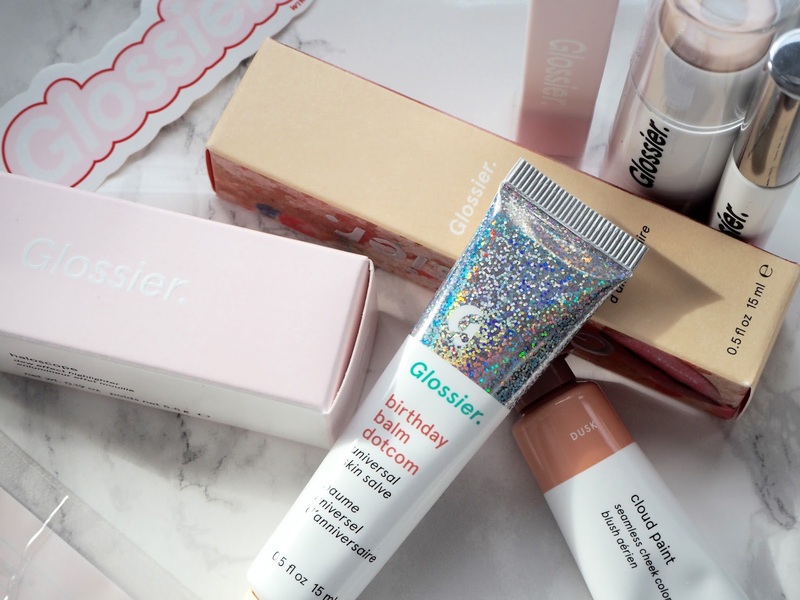 If you haven’t heard of Glossier *where have you been?! * Emily Weiss the founder and CEO of the beauty editorial site Into The Gloss started Glossier for the cool girl who likes to keep things simple. Glossier has been available in the UK since October so I thought it was about time I saw what all the hype was about. Here are the products I chose for my first order and my first impressions. 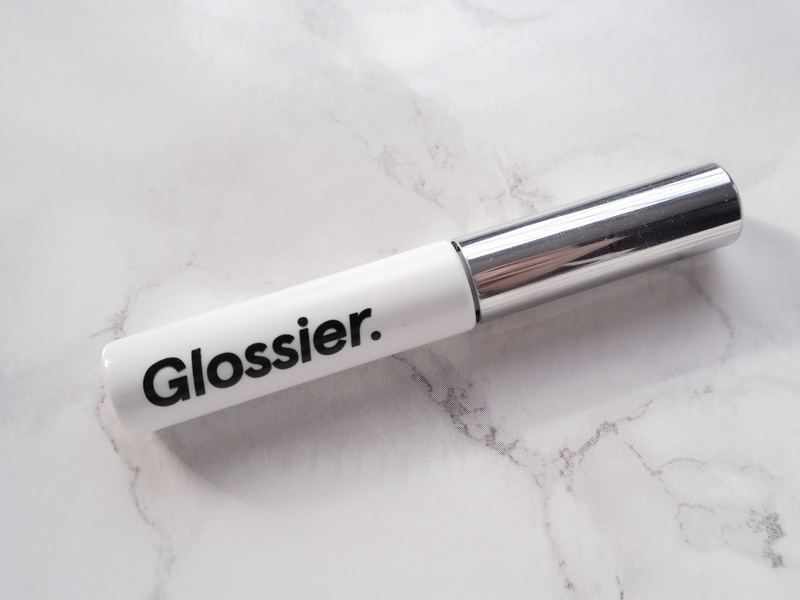 I love a brow product, I think I’ve tried just about every single benefit brow gel out there and I’m a lover of HD Brows Beater Gel, but I’ve heard such great reviews about the Glossier Boy Brow, at only £14 I had to pick it up. I went for the brown shade and it really does give definition, thickens and fills in your brows. I like that the wand is smaller than some brow gels, meaning a more natural appearance. I added the Glossier Haloscope to my basket in the shade Quartz, it comes in three shades, Quartz being the medium. I’ve not loved cream highlighters before, I’ve always preferred powder illuminators but WOW – this stuff works amazingly giving the most natural, dewy highlight. It literally transforms your skin giving you a beautiful glow. I love the formula, the outer part of the halo has crystal extracts, which give you the glow, and the inside is a solid oil with vitamin rich moisturisers. 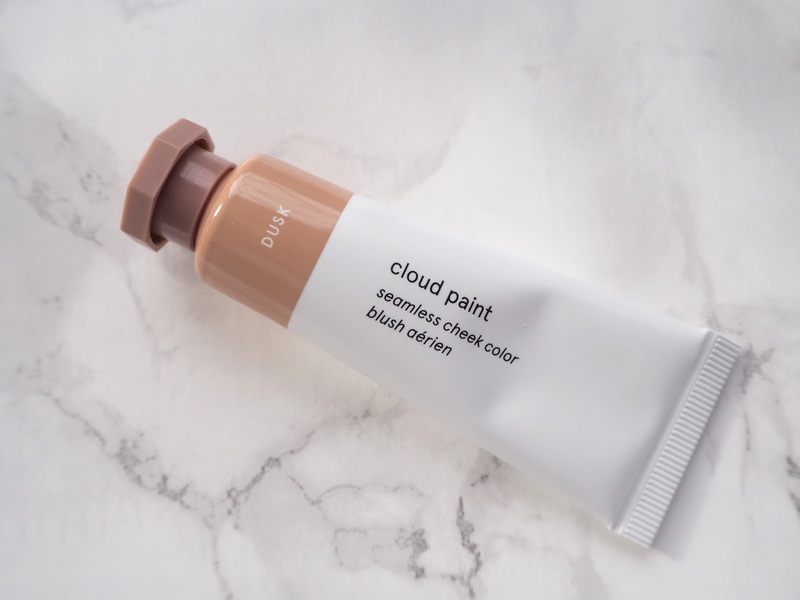 It can be used every day but you could also really gloss up an evening look, or create a natural, radiant, minimal make up look on holiday or at the beach. 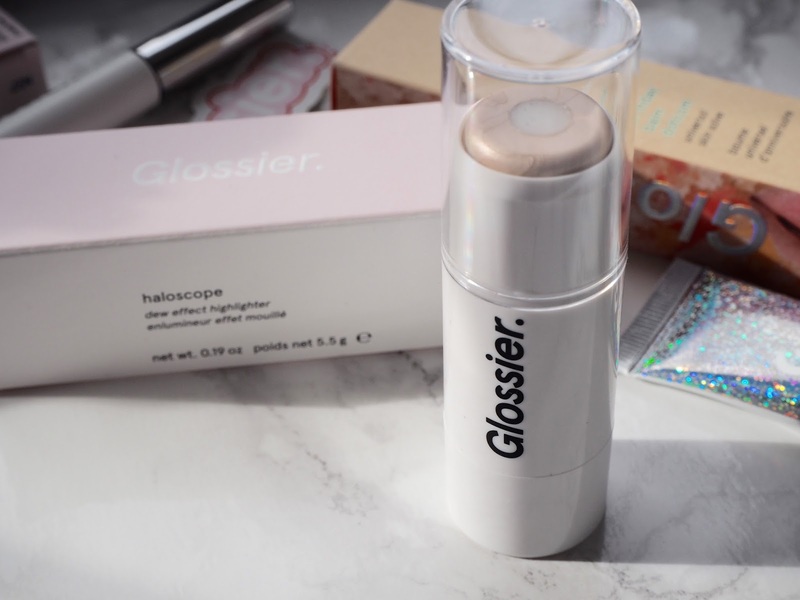 The best thing about Glossier is lots of their key products come in sets – I purchased the set with the Haloscope and the Boy Brow in, meaning you get a lower price and its easier to shop on the website. You know you’re a self confessed beauty addict when you buy a product for its name.. how cute though? 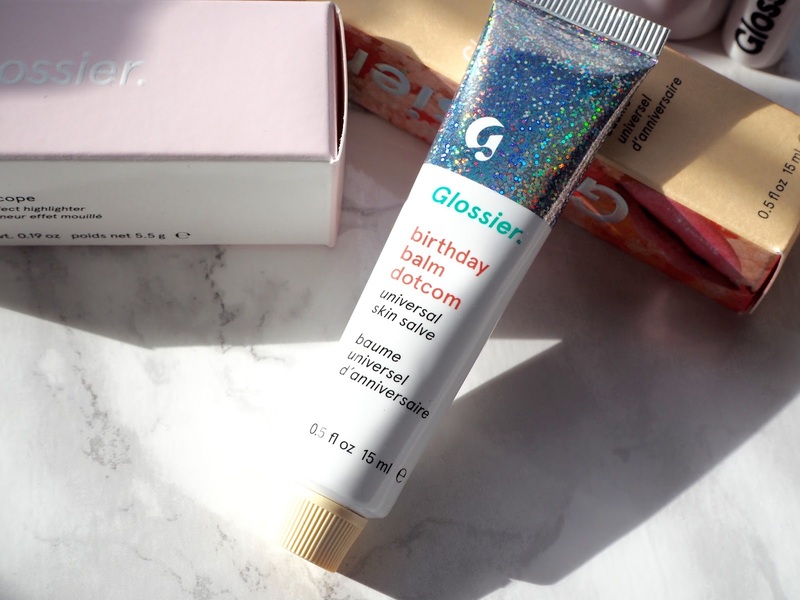 I went for the Birthday Balm Dot Com – its super luxurious and reminds me of the Elizabeth Arden 8 hour cream, but for not even half the price. The Birthday shade is inspired by birthday cake and is clear with a subtle shimmer. It’s not only fun, but it’s also full of antioxidants and natural emollients to nourish and repair dry chapped lips and skin. After falling in love with these make-up bits from Glossier, I definitely want to try more, including some bits from their skincare range. Unfortunately the skin solution was out of stock when I placed my order but I will be placing an order as soon as it’s back in. 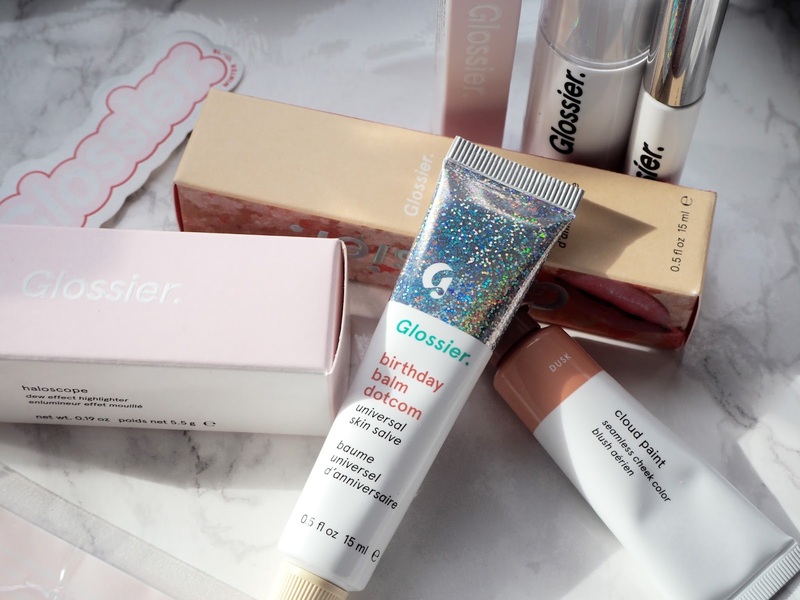 Have you tried any Glossier bits? What should I try next?